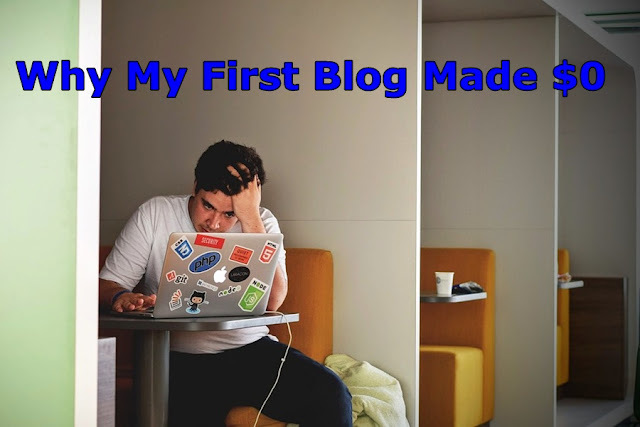 I started my blogging journey after class 12 exam. I admitted to an engineering college. I wanted just to get the degree from there and wanted to continue my blog and online business. So I was searching randomly related blog making tips. I made some Blogspot blogs already that time, but those were basically valueless. One day I found a site named "SiteSell". They provided their own blogging platform with ten days tutorial. The tutorial was just excellent. It first made me thinking that blogging is not only about coding, it's also about marketing. Anyway, I ended the tutorial courses in 3-4 days. Then started a blog. There was a term- brainstorming. I was unable to understand that. Now I know that is nothing but keyword researching. You can use Google keyword planner for free. You can also use LongtailPro which is best among them or alternatively you can use kwfinder. Kwfinder is really great for keyword research. Anyway, I literally did not do any keyword research for my first blog, or better you can tell for my first custom domain blog. I previously decided a topic, that was amazing facts. I made the blog on some amazing facts. Maybe 5000-6000 facts total, which were collected from all over the web. And for that reason, I had to face a copyright notice. And I was so much tensed about it. Will the arrest me? Will they take this kind of actions? Oh God. Now I think, how silly those thoughts are! I also collected pictures for each fact, which can represent the facts better. And what's the purpose of that blog? Just to make money. Yes, I needed any source of money at that time. So I applied to Google AdSense and got approved within two days. Yapieee!!! I created ad units and placed them on my blog. It took almost 30 minutes to go live. Then what was my main work? Guess... guess... to click my own ads as much as possible. Yeah, I knew nothing about advertising, about Google AdSense policies, nothing. I made 40-50 dollars in 4-5 days. Then my account has been disabled due to invalid activities, as usual. Oh god!!! What to do now? That was my only source of income and the account got disabled. I was getting so much frustrated. But at the same time, I learned so much of basic knowledge about blogging. Blogging is not only about coding. It's 10 percent coding, 20 percent content and 70 percent marketing. That's called blogging. I never heard that time the term like search engine optimization, on-page optimization, off-page optimization, link building, social sharing, paid campaign and much more. So without knowing all these, I started a blog. It's also true that there was nobody to guide me. I tried to solve them myself, checked google and learned slowly. That was my process. If I found no answer, I had nothing to do that time. My family members, neighbors, have no idea about this subject. Whereas if my friend who were studying in physics or chemistry, if they faced any problem, they could sort out that with the help of their professors. I had not such option. Right now I can say, yes if I face any problem, I have many blogger friends, I have membership in many blogging communities. They will help me. Moreover, Google is here for me. The greatest teacher I have ever seen in my life. Read them for details. Never leave a single page unread. Each and every page is so much informative. Secondly, you can use an application called "Grammarly". It can help you to write better, and it works like a proofreader. The best proofreading software on the web. You can buy their yearly package, which will cost comparatively little. Thirdly, join online forums. You will get too much information from these sites like Digital Point, Warrior Forum, etc. Or you can alternatively follow my SEO problems & solutions and AdSense problems & solutions series from here. Which helps you to improve your idea about SEO and AdSense respectively. Fourthly, don't break down after seeing one months statistics. SEO is not an immediate process. It takes time. If you really want to boost up your blog traffic with no times, you can start paid campaign on Facebook. But I won't recommend you to do that. It's like the stock market. You only can profit when you have great idea and knowledge about that. Unless, running a paid advertising campaign means to donate money to Facebook, to make them richer. I have wasted about 700$ in paid advertising. So I will suggest you not to go there. Instead of it, go for organic traffic. Though it takes some times, till then keep posting content to your blog. Last but not the least, patient is the key. Keep updating yourself, keep experimenting. You can even take rest but never leave the field, and nobody can keep away from success. All the best. I've seen some of my friends, who are seeking for government jobs, only government jobs. And the salary should be at least 15000-20000 rupees per month. I don't know what I should say them? One thing I can say (here) that never underestimate any job, any salary. At the starting point, accept anything you'll get. When you have lots of option, then start to sort them out and pick the best one among them. SRK got 50 rupees as his first salary. If he thought in the same way as my friends think, he wouldn't probably be such a megastar like now. If you ask me, I got 250-300 rupees as my first salary, and I was so excited with that. Honestly speaking, I was always happy when I earned very low. Even when my earning drops, I get upset obviously but for few times only. Then I get back, find out my fault and start working on it. Nowadays I write every day, and I don't think that if one of my blog posts can make x dollar, then my 25 posts will make 25x dollar. I never think like that. I like to write; I like to share. If my little experience can help someone, nobody will be happier than me! Yeah, blogging is not only about learning, but it's also about sharing. You can share my post with your friends who are interesting in online marketing. Subscribe my blog to get an update of my latest posts directly in your mailbox, and I hate spamming (apart from event blogging), so no need to worry. No more today. If you have any query related my post, you can share it here. Just leave a comment below. I will surely reply you as soon as possible. So bye bye. Take care. Have a nice day.